Do you walk the streets of Digbeth? Go out on Broad Street? While the merits of stop and search are debated following a police announcement in favour of expanding the policy, Birmingham Eastside has mapped where West Midlands Police use their stop and search powers the most. Explore the map below to see in which areas you may be most likely stopped and searched. 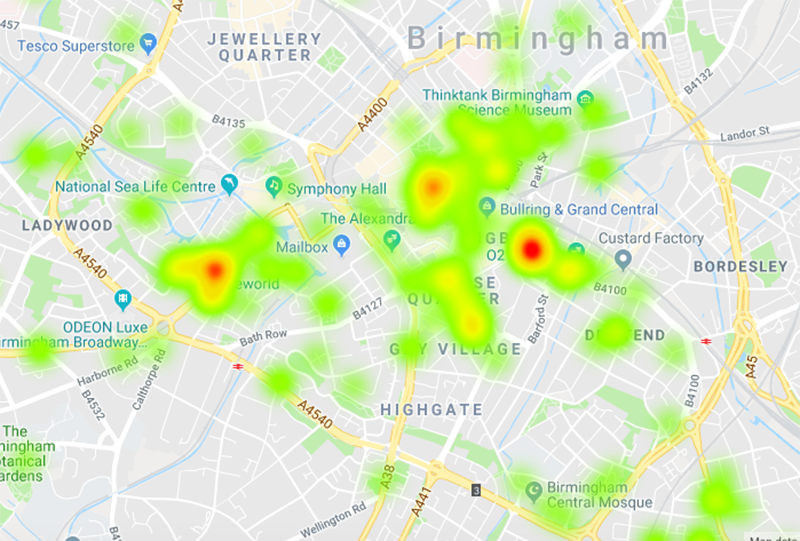 Click on the map to explore where stop and searched was used the most in Birmingham between October 2017 and September 2018.